For the university's 175th birthday, I worked with our governor to declare February 1, 2017, as "Willamette Day" in Oregon. Physicist David Altman is moved by myosin. We all are. Myosin is a motor protein. Responsible for every conscious and unconscious flex of our muscles, it beats our hearts. Altman wants to understand how the molecular motor works — how the roiling action inside of a cell affects myosin's function. In 2012, Altman spent his junior sabbatical at McGill University in Montreal, Canada, performing an experiment that tested competing theories about muscle fibers’ unusual mechanical properties. The results of his experiment were published April 16 in PLoS ONE. Muscles have an odd and poorly understand behavior. Normally, an active muscle is stiff, because its proteins interact and form connections. But when an active muscle is used in a cyclic fashion — think of your heart beating or leg muscles when you’re running — the muscle temporarily becomes softer. When the cyclic motion stops, the muscle stiffens again. This temporary softening, called thixotropy, may be connected to our posture. Stiff muscles provide support when you sit in class, but become less stiff and more limber when you run. The mechanism of thixotropy in muscles is not well understood, though Altman suspected that myosin was the key. At the heart of muscle fibers are two types of interlocking filaments: myosin filaments — which contain hundreds of myosin motors that tie themselves together — and actin filaments. In active muscle, myosins bind to actin. Myosins make muscles contract by pulling themselves, stroke by stroke, along the actin filament. Altman wanted to test whether the interaction between actin and myosin was responsible for muscle’s thixotropy. According to this model, muscles’ cyclic motion breaks the actin-myosin attachments and makes the muscle fiber softer. Once motion stops, it takes a little while for myosin to re-bind to actin and make the fiber stiff again. Altman’s experiment involved disrupting actin-myosin interactions and vibrating the muscle fiber at different frequencies to measure its stiffness. Using two chemicals that prevent myosin binding to actin, Altman then tested the muscle. The loosening effect vanished. The experiment revealed another, unknown process at work. When the cyclic motion was slow enough, Altman was surprised to find that the muscle fiber no longer softened; it became stiffer, or rheopectic. Altman suspects thixotropy depends on forces from molecules jostling within the crowded cellular environment, but no one knows how or why muscles would stiffen when subjected to low frequency vibration. Through Willamette’s Senior Research Seminar course and through the Science Collaborative Research Program, students work with Altman to learn more about myosins’ cellular function. “In my lab, we study myosins inside cells as opposed to just purified myosins, because we want to understand physiologically relevant conditions and how they affect the motor,” says Altman. Over the summer, he’ll move his myosin-trapping laser lab to the basement of Collins Science Center. In the fall, Altman will continue working with physics majors on their theses, while looking for more collaborative research opportunities to explore the enigmatic muscular motor protein. Always happy to assist my fellow communicators at not-for-profit organizations! Subscribe or read the Nonprofit Communications Report. For the Nonprofit Communications Report, I wrote a short piece about how to share earned media highlights. This guide led directly to enrollment gains for my employer, and I was responsible for all aspects of the media relations effort. Read the chapter, which is fantastic! If you are looking for good advice about colleges, this book is one of the best. 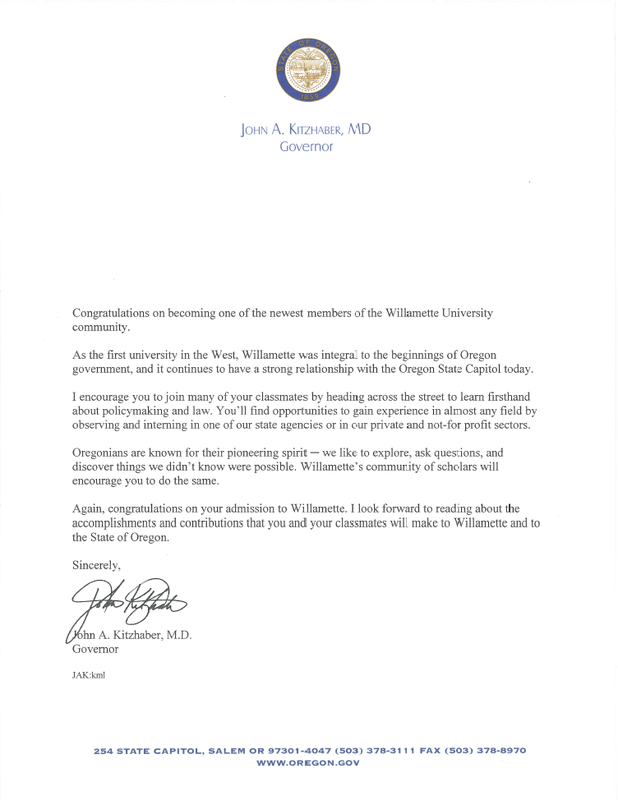 To support enrollment efforts, I worked with the Office of the Governor to secure a personalized welcome for admitted students. In particular, students from smaller cities and towns indicated that this was an impactful communication that reinforced the university's distinctive location across the street from the Oregon State Capitol. When a fraternity's private Facebook posts were published anonymously, members of the campus community expressed serious concerns about messages' misogynistic content. The incident sparked discussions about sexual assault, campus climate and Title IX. In addition to developing a robust understanding of these issues through associated research and discourse, I was moved by stories from people involved and wanted to help address the need for men to become more engaged. I sought out formal training from the Association of Title IX Administrators, and I serve as an investigator and hearing panel member for related conduct cases. In partnership with Oregon's science museum staff, we launched Science Pub and earned prominent coverage in USA Today. Plus, fun! I shared the following column, which ran on March 11, 2013, as part of the "My Passion" series in our local newspaper. Growing up in Las Vegas with parents that insisted I venture out into summer’s sandy oven, I spent a lot of time catching scorpions, vinegaroons and all kinds of reptiles. I marveled at the way each creature seemed perfectly suited for its place — and its prey. 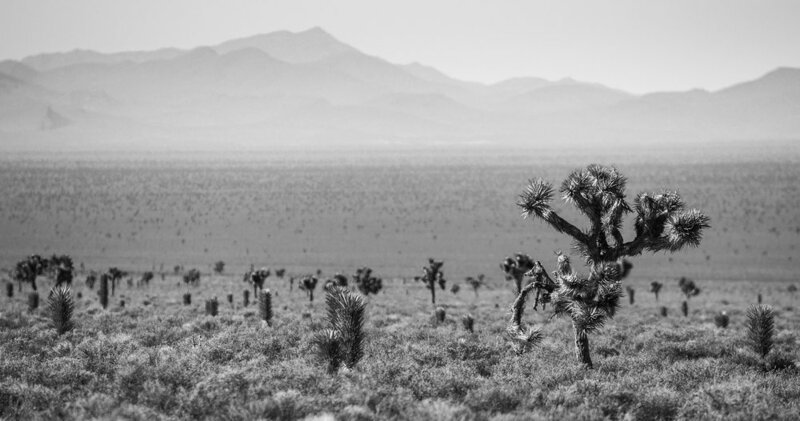 I’ve seen blood squirt from the eyes of a horned lizard, and I’ve dropped a desert iguana when distracted by the whip of its separated, writhing tail. One of my best friends can attest to the wallop a small sidewinder packs. Despite all the time I spent exploring and experiencing the desert, it wasn’t until a college trip with friends to Zion National Park, far from the electric skies of Las Vegas, that I looked up and saw the Milky Way - the band of stars that form the “backbone of night.” I felt the bewildering immensity of nature for the first time. I still wonder what our ancestors thought as they gathered around a fire pit and looked to the sky. Some of their answers became myths that shaped and were shaped by society, but what of the countless millions who weren’t satisfied by such explanations? Among the everyday struggle for survival, there must have been people like me — people for whom the echoing question, “What are stars?” would never be silenced. Human nature is to seek understanding. Our minds are powerful, complex but imperfect pattern detectors. When we look at clouds, we see shapes. We impose meaning on randomness. We confuse correlation and causality. We infer intent by default, and because we are biased to reinforce our own beliefs, it takes effort to overcome an incorrect idea that has taken root. These biases served us well through millennia. We survived. Through science, we’ve opened a window to the heavens, and we’ve looked back in time to discover much about how we came to be. I was stunned to learn that nearly half of Americans don’t know how long it takes our planet to revolve around the sun. I cringe when politicians deny evolution. My heart breaks when children die from easily preventable or treatable conditions because parents decide against vaccines or choose prayer over medicine. Though science has certainly demonstrated its value to our health, economy and quality of life, it is more than advanced technology or medical treatments. The scientific method is humanity’s best tool to discover truth. I started the local Science Pub series in conjunction with OMSI, and I collaborate with scientists to help share their work with the public. I’m passionate about the public understanding of science not just because I love the mysteries of quantum mechanics, neuroscience and cosmology, but because scientific literacy affects our ability to evaluate important issues facing our society. With our growing population, its commensurate impact, our advancing technological sophistication and proliferation of ideas and claims, we need decision makers who understand the value and methods of science. We need a scientifically literate electorate that is able to face with open eyes our economic, environmental and geopolitical challenges. I’m passionate about the public understanding of science not only because it answers the question, “What are stars?” but because I believe that the truth is the best foundation upon which to build our future. Cited by a prominent financial aid consultant as one of the best communications in higher ed, I created this piece (with the help of an in-house designer) to help shift the college cost conversation to a university value conversation. We used the web infographic as the basis for a printed folder that held the financial aid award letter. Enrollment results and anecdotal feedback were exceptionally positive. 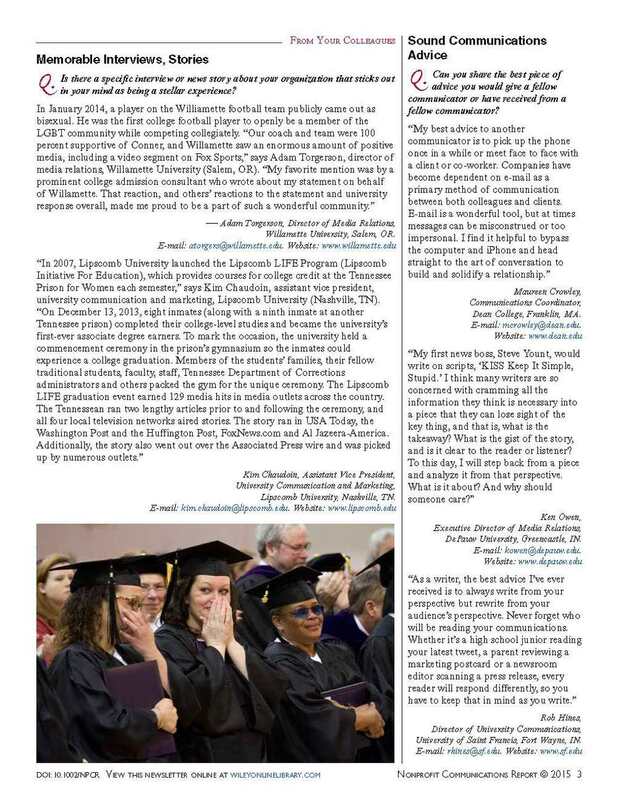 The university magazine theme and cover concept was based on Willamette's less known places, activities and talents. A friend and chemistry professor created a scale model of Waller Hall, one of the university's iconic buildings. SALEM, Ore. — On Feb. 9 at 8 p.m., Willamette University’s Atkinson Lecture Series will feature Carolyn Porco, acclaimed scientist, communicator and imaging team leader for the Cassini mission to the Saturn system. Porco will highlight the discoveries made so far by the Cassini spacecraft and its Huygens probe. In 2005, the probe landed on Titan - the first landing in the outer solar system. Cassini images trace coastal shores along Titan’s liquid hydrocarbon seas; others depict icy plumes erupting from the surface of Saturn’s moon, Enceladus. The mission’s visually stunning images and crucial data not only give scientists perspective into the nature of the planetary system, they demonstrate that conditions for life may be more abundant than once believed. She was the science advisor on the 2009 film “Star Trek” and the character consultant on the 1997 movie “Contact,” for which Carl Sagan personally invited Porco to consult. Among her many accolades, “Wired” described Porco as was one of 15 people the U.S. president should listen to, and Sunday Times named her among the top 18 leaders of the 21st century. Porco created CICLOPS, where Cassini images are shared with the public, and she is CEO of Diamond Sky Productions, a company devoted to the scientific and artful use of planetary images and computer graphics for the presentation of science to the public. General admission seating is $10, and doors open at 7 p.m. for the 8 p.m. presentation. Buy tickets or learn more at willamette.edu/events/atkinson_lecture.